As a vacuum specialist for high-temperature and plasma treatment processes, PVA TePla is one of the world’s leading plant engineering companies. Its core compentencies are in the fields of hard-metal sintering and crystal growing as well as the use of plasma systems for surface activation and ultra-fine cleaning. With its systems and services, PVA TePla enables and supports the innovative manufacturing processes and developments of its customers, primarily in the semiconductor, hard metal, electrical/electronic and optical industries – as well as the energy, photovoltaic and environmental technologies of tomorrow. The company provides its customers with customized solutions from a single source. These range from technology development through tailor-made design and construction of production facilities right up to an after-sales service that covers all four corners of the globe. The company will use its systems to enter the latest fields of application jointly with its customers – be they next-generation wafers for use in the semiconductor or photovoltaic industries, powdered-metal technology, new crystals for the optoelectronic industry, fiber-optics for data transmission or the development of high-tech materials and surfaces. The Vacuum Systems Division of PVA TePla specializes in the development, construction and marketing of thermic plants and systems for processing high-quality materials at high temperatures. With almost 50 years’ experience from more than 1,000 systems supplied worldwide, testimonials from big names in the industry and a diversified range of process plants, the Vacuum Systems Division of PVA TePla AG sets technological standards that have seen it grow to become a global market leader in the provision of vacuum sintering plant for hard metals in particular. In this business unit PVA TePla is offering high tech systems for the semiconductor industry ranging from systems for the production of silicon crystals for the semiconductor and opto-eleletronic industry to systems for plasma treatment in the semiconductor assembly. The company also supplies innovative systems for non-destructive, ultrasonic quality inspection for high tech materials. 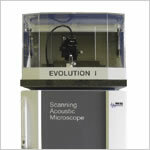 The Solar Systems Division specializes in the development, construction of Systems for processing high-quality crystals. PVA TePla AG is able to provide all the major industrially relevant processes, especially in the area of growing mono- and polycrystalline silicon crystals. Markets can be served according to the technical requirements of the clients. Different systems for the production of mono- and multicrystalline crystals are available.